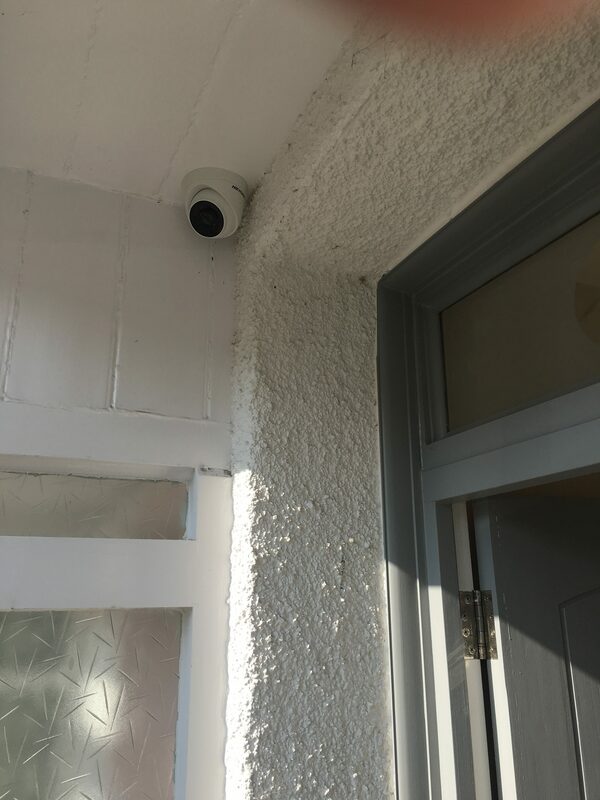 2 x 4MP IP Camera’s were added to the front of this house in Bromley. 1 covered the door for facial recognition and 1 was placed higher on the soffit of the house looking down at the driveway. The cables were completely hidden on both cameras for a clean finish. We set up 2 way line crossing on the driveway (a feature on higher end Hikvision products). Combined with a new Email account this sends alerts with images when the line is crossed either way. The user can then check the NVR for the full resolution image if necessary. We set up a seperate email account for this feature so that the users personal account is not affected.